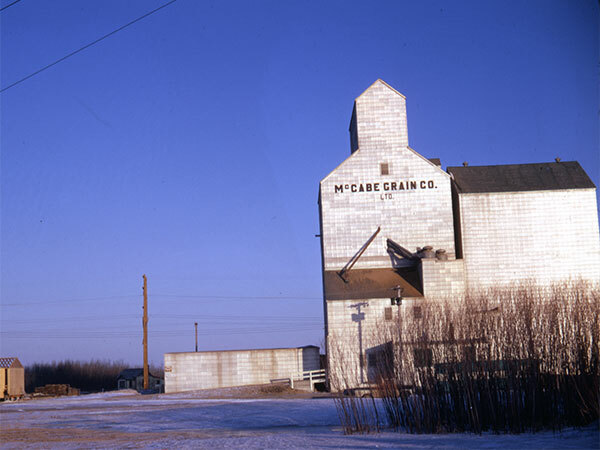 A wooden grain elevator along McGillivray Boulevard in the Fort Whyte area of Winnipeg, on the CPR La Riviere Subdivision, was operated by McCabe Grain until 1968 when it was sold to United Grain Growers. 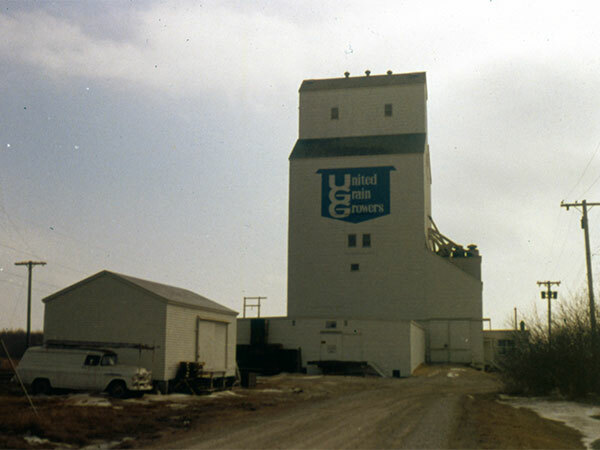 It was unused and under renovation when it was destroyed by fire on 11 March 2000. 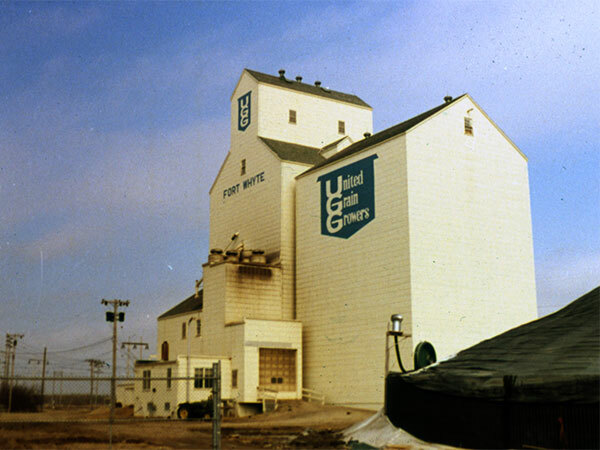 Brunkild, Box 59, MSS 76, United Grain Growers Fonds, University of Manitoba Archives & Special Collections.